The anterior cruciate ligament, or ACL, is one of the major ligaments of the knee that is in the middle of the knee and runs from the femur (thigh bone) to the tibia (shin bone). It prevents the tibia from sliding out in front of the femur. Together with posterior cruciate ligament (PCL) it provides rotational stability to the knee. When you injure your ACL, you might hear a "popping" sound and you may feel as though the knee has given out. Within the first two hours after injury, your knee will swell and you may have a buckling sensation in the knee during twisting movements. Diagnosis of an ACL tear is made by knowing your symptoms, medical history, performing a physical examination of the knee, and performing other diagnostic tests such as X-rays, MRI scans, stress tests of the ligament, and arthroscopy. Treatment options include both non-surgical and surgical methods. 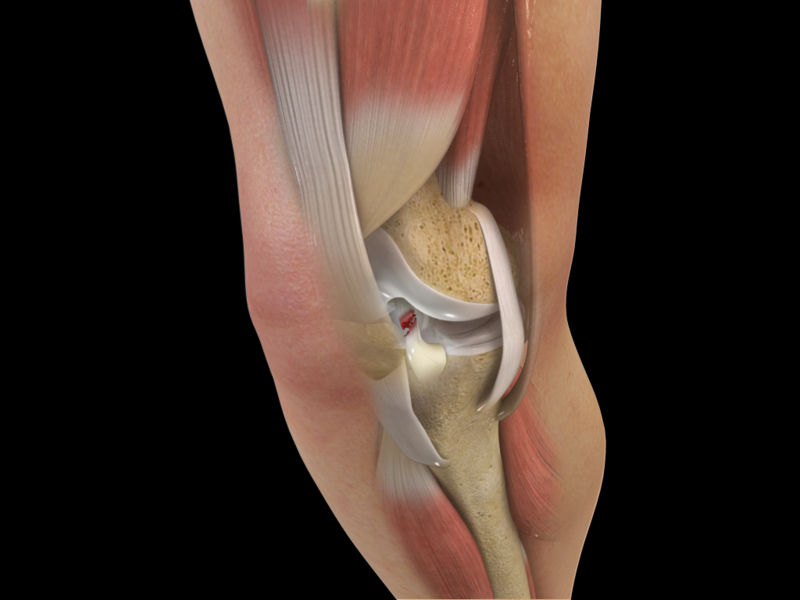 If the overall stability of the knee is intact, your doctor may recommend nonsurgical methods. Non-surgical treatment consists of rest, ice, compression, and elevation (RICE protocol); all assist in controlling pain and swelling. Physical therapy may be recommended to improve knee motion and strength. A knee brace may be needed to help immobilize your knee. Young athletes involved in pivoting sports will most likely require surgery to safely return to sports. The usual surgery for an ACL tear is an ACL reconstruction which tightens your knee and restores its stability. Surgery to reconstruct an ACL is done with an arthroscope using small incisions. Your doctor will replace the torn ligament with a tissue graft that can be obtained from your knee (patellar tendon) or hamstring muscle. Following ACL reconstruction, a rehabilitation program is started to help you to resume a wider range of activities.